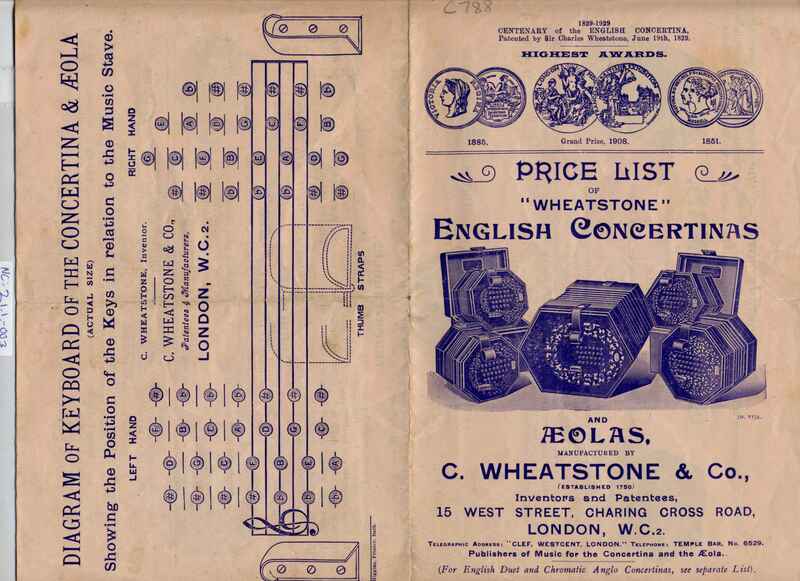 Full Description: A C Wheatstone and Co Price list of "Wheatstone" English Concertinas, coded 3M, VI34 (June 1934?). This large single-sheet Brochure (460 x 293mm) is folded twice to make an 8pp leaflet, almost in the modern A5 size. 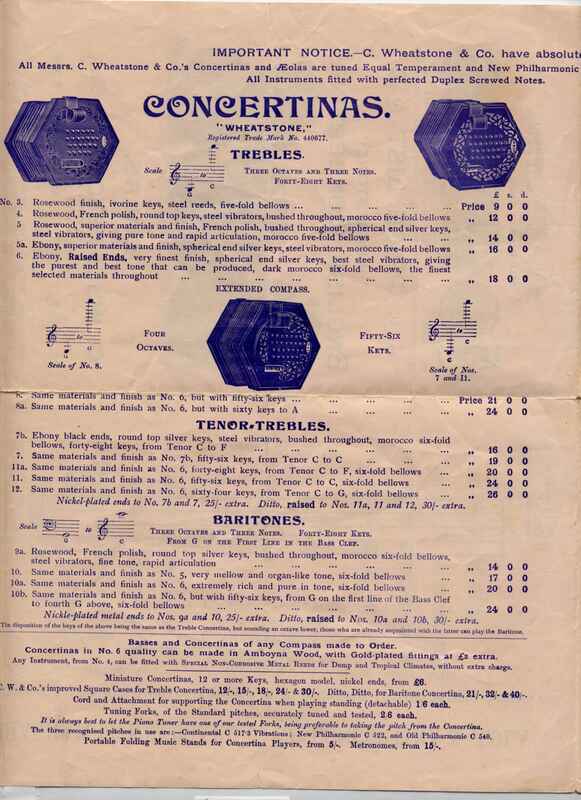 It illustrates all the models and qualities of the English and Æola instruments, with potted histories of the concertina and its players. 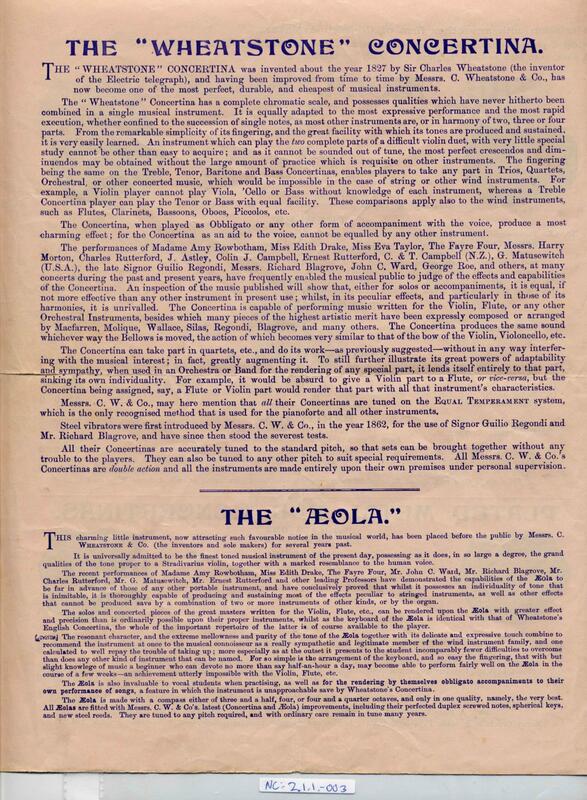 This edition printed by "Higgins, Printer, Bath". 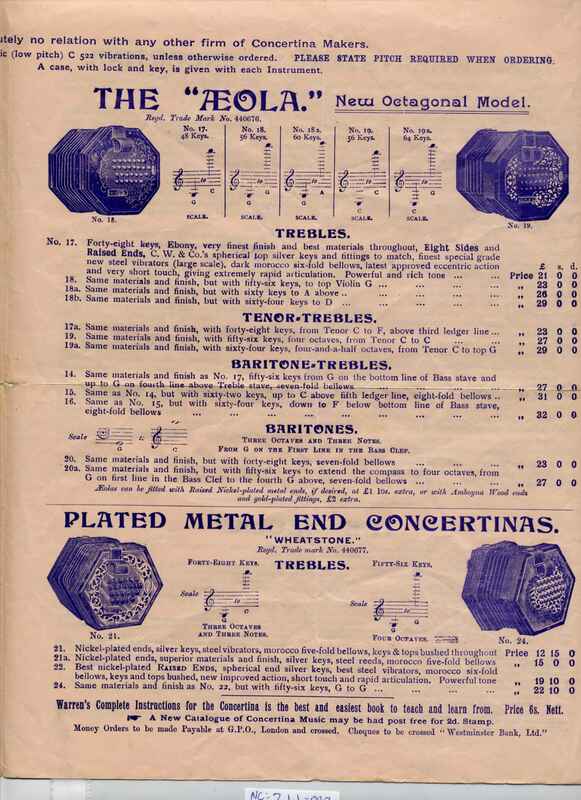 An earlier edition from October 1931 (with details of Tenor Treble Models No 7b and 11a added in ink) is Item NC: 2.1.1-004 in the Collection.